Paartileen siyaasaa Oromoo shan gochaan magaala Burraayyuufi Finfinnee keessatti Oromoota irratti raawwatame kan isaan gaddisiise ta’uu himan. Dhaabbileen Oromoo shan KFO, ABO, ABO Tokkoome, Adda Dimokiraatawaa Oromoofi Addi Tokkummaa Walabummaa Oromoo haala siyaasaa biyyattii tibbanaa irratti erga Fulbaana 12 mariyatanii booda ibsa waliinii baasaniiru. “Gareen Oromoo balleessuuf gurmaa’ee socho’u akka jiru hubanneerra” jedhan. Paartileen siyaasaa tokko tokkos namoonni dhaadanoowwan “Oromoofi Nootummaan Naannoo Oromiyaa magaala Finfinnee keessaa yaa bahan” jedhan qabatanii akka bahan godhaniiru. Dhaaboleen Oromoo shanan miidiyaalee ummataaf uummata walitti buusuuf hojjechaa jiran jedhanis balaalefataniiru. “ESAT propogaandaafi olola maqaa balleessi Qeerroo irratti baneera” kan jedhan barreessaa Olaanaan KFO Obbo Baqqala Garbaa “miidiyichi Qeerroo bulguu fakkeessuun dhiyeessera” jedhaniiru. Paartileen siyaasaa karaa nagaan dorgomuu hin barbaanne maallaqa sobaa namootaaf raabsuun okkara uumuufi mootummaan biyyattii bulchuu kan dadhabe fakkeessanii aangoo qabachuuf socho’aa akka jiranis Obbo Baqqalaan himaniiru. Namoonni yakka raawwatan seeratti akka dhiyaataniif miseensonniifi deeggartoonni keenya mootummaa cinaa ni dhaabbatu jedhan. 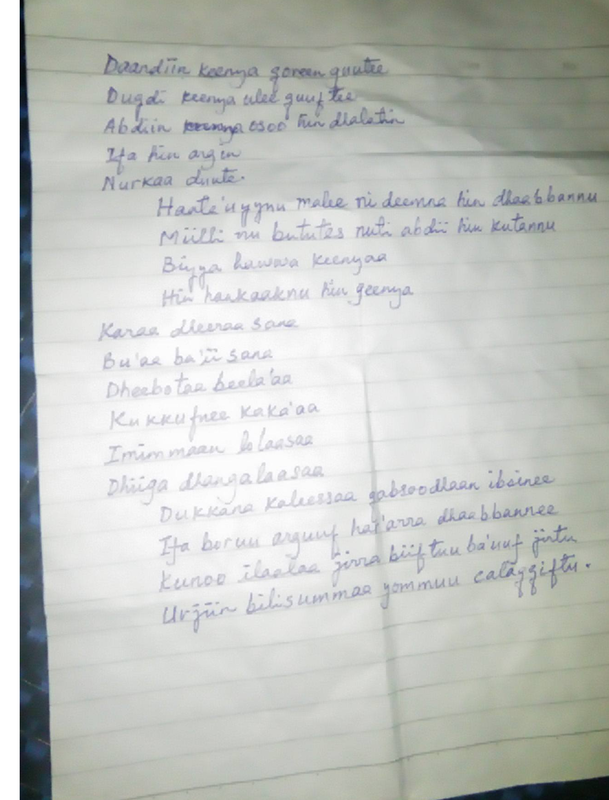 Ibsa waliin baasan kanaan halleellaa qabeenyaa akka manneen barnootaa Afaan Oromoo, baankiiwwaniifi kollejjootarra ga’es balaaleffataniiru. Sirna Federaalizimii rakkoo eenyummaa baroota dheeraaf Itoophiyaa keessa ture furuudhaaf diriirfame humnoonni dantaa hin qabne ka’umsi rakkoo kanaa federaalizimii akka ta’e mullisuudhaaf yaalii gochaa akka jiran ibsuudhaan ibsichi balaalleffateera. Kanaaf, nuti paartileen Oromoo sochiin miidiyaalee dabalatee taasifamaa jiru kun balaa eenyummaa keenyarratti dhufe waan ta’eef cimsinee balaaleffanna, jedhaniiru. siyaasaa ummata Oromoo irratti marii jalqabaa geggeessee jira. wal jijjiiruun hubannoota irra gahameera. Uummanni keenya yaroo adda addaa wal-taanee akka itti dhiyaanu nu gaafachaa jiru hubtuun bu’uuruma kanaan Addi Bilissummaa Oromoo (ABO) fi Kongirasiin Federaalawaa Oromoo (KFO)n marii gaafa 24/12/2010 gaggeesinneen akkaataa garaagarummaa jiru dhiphisuun waliin hojjatuun danda’amu irratti wal hubachuun waamicha armaan gadii waloon dabarsina. kabajamee nageenyii amansiisaa itti fufiinsaan akka lafa qabatuuf qabsoo uummatni keenya taasisu keessatti sagaleen uummatta keenyaa akka addaan hin hiramneef karaa danda’ame hunda hojjatana. 2. Uummanni keenyas wal hubannoo irra gahame kana beekuun qabsoo nuyi waliin gaggeessaa jirru kana nuuf beekuun akuuma kana duraa nu cina dhaabbachuun qabsoo bilisummaa milkeessuu keessatti qooda keessan akka gumaachitan waamicha seena qabeessa kana dabarsina. 3. Jaarmootni siyaasaa, Beektootni, Dargaggotni abbaa qabsoo Barratootni,Hojjatootni, Daldaaltotni, Abboottiin Gadaa fi Abboottiin Amantaa Oromoo kana beekuun itita aangoo siyaasaa uummata Oromoo amma argamee kana gara fuulduraatti tarkaanfachiisuuf qabsoo KFO fi ABOn taasisan kana akka cimsitan, utubdanii fi deegartaniif waamicha keenya isinii dabarsina. uummanni Oromoo kabajamuu mirga dimokraasii, mirga hiree murteeffatanaa, olaanttumaa seeraa, guddina federaalizimii dhugaa fi nageenya waaraa dhugoomsuuf warraaqu kana keessatti akka nucinaa dhaabbattan kabajaan waammicha isinii goona. Injifannoon uummata dhugaan qabsaa’uuf haata’u !!! 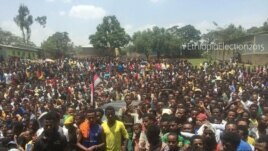 Today hundreds of thousands of people from Ambo, a city 125 km west of Addis Abeba, and its environs came to welcome veteran opposition party leader Dr. Merera Gudina. 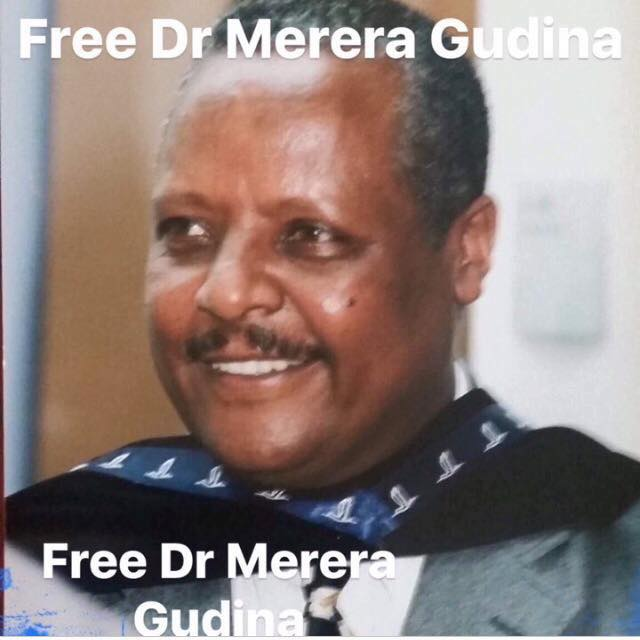 Dr. Merera, chairman of the Oromo Federalist Congress (OFC) was released from prison last week after spending more than a year a prison. Since then, he has been busy receiving jubilant supporters from all walks of life. 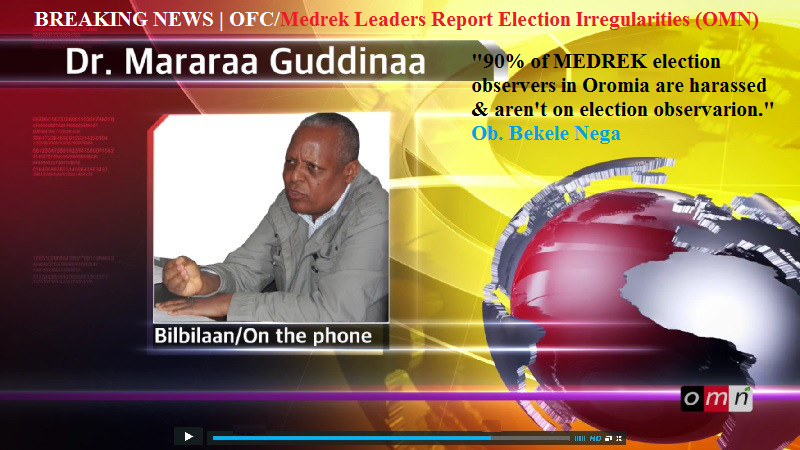 Click here for Photos: Oromia erupts as Ethiopia govt frees Merera Gudina, Africa News. 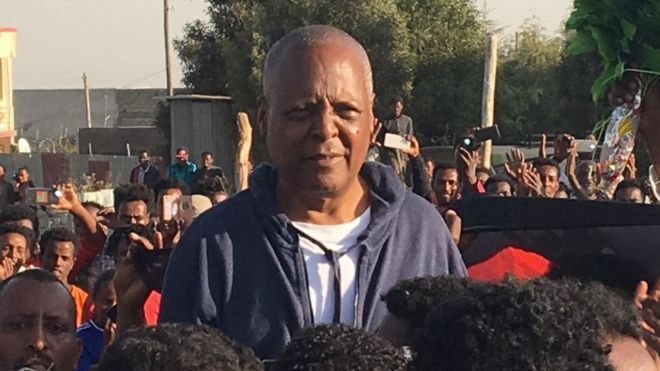 Ethiopian opposition leader Merera Gudina has been freed after more than a year in detention. Merera becomes the first ‘political prisoner’ to be released since Prime Minister Hailemariam Desalegn announced on 3 January that the government will pardon several convicted politicians and those with cases in court in a bid to foster national cohesion. 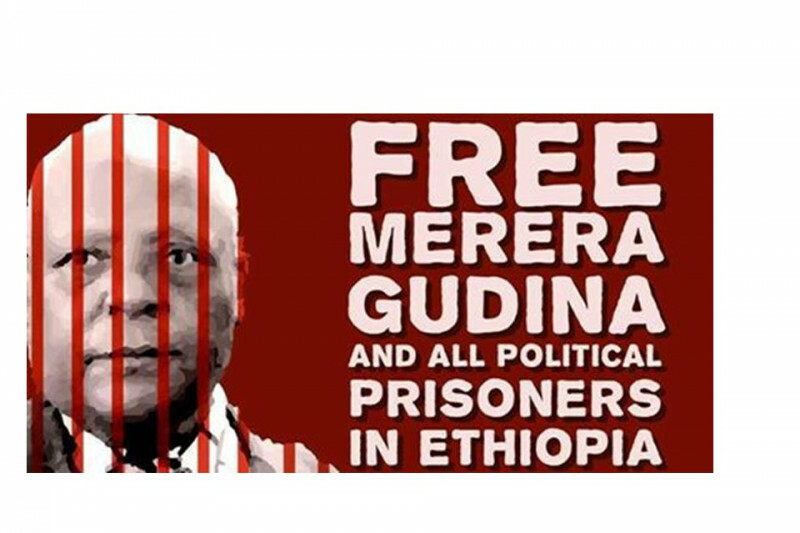 Merera, the leader of the Oromo Federalist Congress, has been in prison since December 2016 and was facing multiple charges, including association with terrorist groups. He denied the charges. Influential media portal, Addis Standard tweeted a letter (issued in Amharic) which stated that the charges had been dropped ‘for the benefit of the public and the government’. Earlier this month, the government said it would pardon and drop the cases against more than 500 prisoners. Ethiopia had always denied that there were any political prisoners in the country, as alleged by human rights and opposition groups. The government has denied holding any political prisoners but says the releases will foster national debate and “widen the political sphere”. Those being freed will first undergo two days of “rehabilitation training”, the government says. “Hundreds of prisoners of conscience continue to languish in jail, accused or prosecuted for legitimate exercise of their freedom of expression or simply for standing up for human rights,” Amnesty’s Netsanet Belay said. Bekele Gerba, deputy chairman of the OFC – arrested together with Dejene Fita Geleta, secretary-general of OFC, and 20 others in connection with the 2015 Oromo protests that resulted in the death of hundreds of protesters. Andargachew Tsege, leader of Ginbot 7 (designated a terrorist group by Ethiopia) – arrested in 2014 while on transit in Yemen and taken to Ethiopia, where he faces the death penalty after being convicted in absentia. A British national, human rights groups have been pushing for his release. Andualem Aragie, vice-president of the Unity for Democracy and Justice party – imprisoned since 2011, and now serving a life sentence on terrorism charges. Eskinder Nega, journalist and blogger – imprisoned since 2011 after criticising the use of anti-terror laws to silence the press. He was subsequently sentenced to 18 years in jail. Woubshet Taye, journalist and editor – imprisoned since 2011 and sentenced the next year to 14 years in prison for terror-related offences. 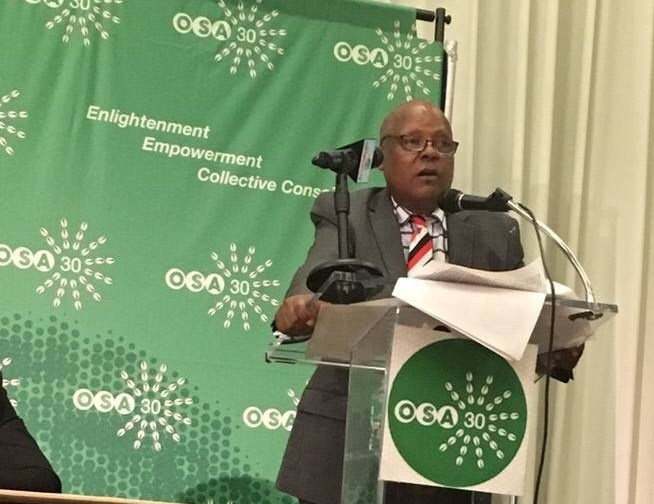 A member of the European Parliament, Ana Gomes, has reacted to the the move by the Ethiopian government to drop charges against leading Oromo politician, Merera Gudina. The university don who is leader of the Oromo Liberation Front (OLF) has been under detention for a little over a year. He was arrested in December 2016 after returning from an European trip during which time he addressed the E.U. parliament on the political situation back home. 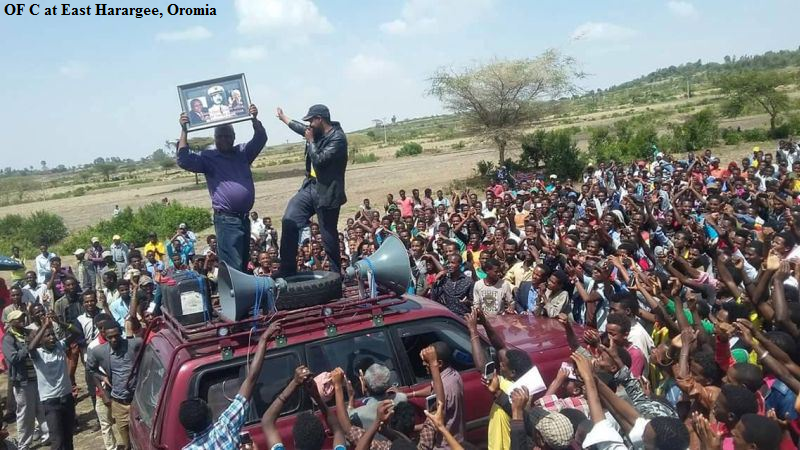 Upon his arrest, the government said he was picked in connection with having flouted an October 2016 state of emergency imposed to quell spreading anti-government protests predominantly in the Oromia and Amhara regions. He was eventually charged with terrorism but the offense was later downgraded to multiple criminal charges. The case like that of other political elements has been traveling at a slow pace with prosecutors seeking extensions and introducing fresh evidence. The MEP also commented on Eskinder Nega, an Ethiopian journalist currently in jail. Eskinder Nega is a brave man, paying for freedom and justice for his country. He is still a political prisoner in Ethiopia. He must be liberated! She said in a tweet. Nega and a Venezuelan writer and journalist Milagros Socorro have recently been honored by Oxam Novib (PEN Awards 2018). “Eskinder couldn’t receive the award because he is in jail for his journalism works,” blogger Befeqadu Hailu wrote. Posted by OromianEconomist in Baqqalaa Garbaa. ADDIS ABABA, Ethiopia — Ethiopia said Monday it will not release a leading opposition figure detained under the country’s state of emergency after meeting with European lawmakers in Belgium. Prime Minister Hailemariam Desalegn told reporters that Merara Gudina of the Oromo Federalist Congress party instead will face justice. “Individuals in the European Parliament who are harboring anti-peace elements cannot save those who trespass the law of the country,” the prime minister said. Merara is one of 22,000 people the prime minister said were detained under the state of emergency declared in October after widespread, sometimes deadly anti-government protests. The government has said several thousand have since been released. Merara was arrested immediately after he returned from Belgium, where he met with the lawmakers about the state of emergency. He was accused of meeting with members of an armed Ethiopian opposition group in Brussels, an act banned under the emergency law. 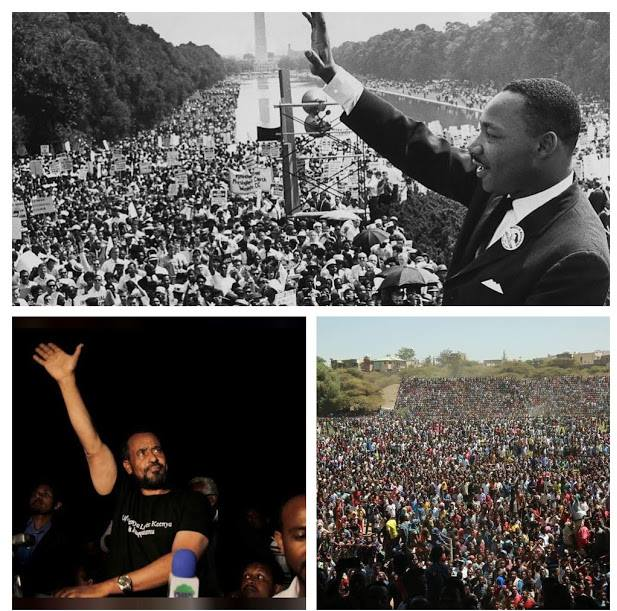 Photos posted on social media show him sitting next to Birhanu Nega, leader of the armed opposition group called Ginbot 7 that mainly operates from Eritrea, and Feyisa Lilesa, the Ethiopian marathon runner who crossed his wrists in a sign of protest while crossing the finish line at the Rio Olympic Games. The Association for Human Rights in Ethiopia said the state of emergency’s wide-ranging restrictions have severely affected freedoms of expression and assembly. “Tens of thousands of individuals have been arrested arbitrarily” and dissent and independent reporting have been quashed, it said. Merera Gudina is a professor and politician in Ethiopia. 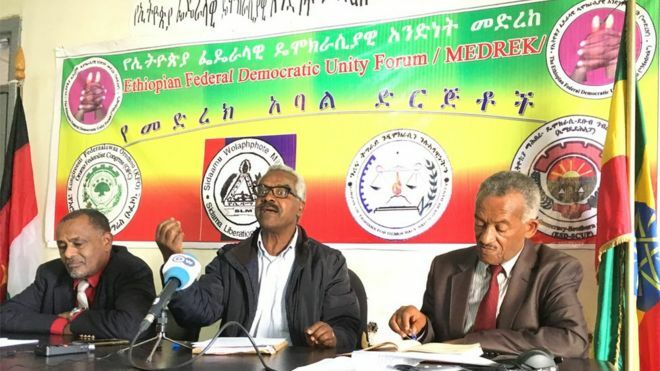 He is the leader of the Oromo Federalist Congress (OFC) and opposition coalition – Dr. Merera was arrested on October 30 upon his return from a trip to Brussels where he spoke to members of the European parliament about the situation in Ethiopia. Since his arrest, Merera has not been brought to court or officially charged. We demand the immediate and unconditional release of the good professor. Merera Gudina is a professor and politician in Ethiopia. He is the leader of the Oromo Federalist Congress (OFC), and an opposition coalition Medrek. Merera founded the Oromo National Congress (ONC) in 1996, which became the largest Oromo opposition group by parliament seats after the 2005 national elections. His OFC had allied with several other parties to form the United Ethiopian Democratic Forces. 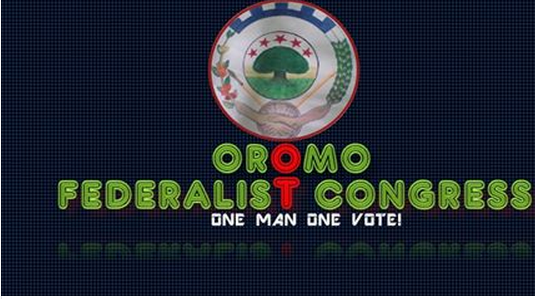 Due to a court decision in 2007 which awarded the name of the ONC to a splinter group, the original ONC assumed a new name, the Oromo Federalist Congress (OFC) . Leading opposition leader Merera Gudina after he returned from a trip to Europe. Gurdina was arrested upon his arrival at the airport in the capital Addis Ababa, according to the English private magazine Addis Standard. Gudina had travelled to Brussels where he alleged, during a hearing at the European Parliament, that Ethiopian security forces had committed human rights violations during recent unrest in the country. Prof. Merera was returning from Brussels where – together with other Ethiopian activists and the Olympian athlete Feyisa Lellisa – he had had a meeting with MEPs on 9 November 2016. I urge the Ethiopian Government to make public any charges it has brought against Prof. Merera and I will continue to follow his case very closely. 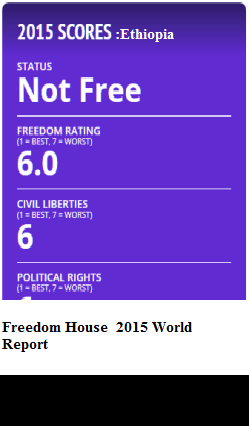 Since January 2016 the human rights situation in Ethiopia has not improved at all. Human Rights Watch reports that security forces have killed more than 500 people during protests over the course of 2016. Moreover the state of emergency has led to further significant restrictions on freedom of expression, association, and assembly. I therefore reiterate Parliament’s demands as set out in its resolution. Senator calls for immediate release Oromo People’s Congress leader, opening up of political space in Ethiopia. “Dr. Gudina’s arrest appears to be based solely based on the fact that he is a member of the opposition who has spoken out publicly against the regime, and as such he should be immediately released. He is not the only member of the opposition to be arrested for speaking out, and his detention signals a disturbing lack of commitment to the fundamental freedoms enshrined in the Ethiopian constitution. 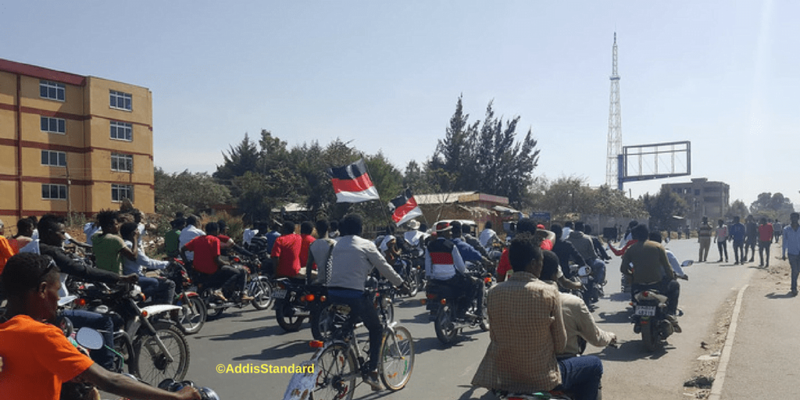 “The government’s crackdown on Oromo protesters over the past year have resulted in very troubling allegations of torture and extrajudicial killings by security forces with little in the way of meaningful accountability. “The Ethiopian government should release all journalists, members of the opposition and civil society activists who have been detained, and take meaningful actions to open political space, starting with lifting current restrictions on social media. Senator Cardin introduced a bipartisan Senate resolution in April that condemns government crackdowns on and violence against civil society, opposition leaders and the media, as well as asks the Secretary of State to conduct a review of U.S. security assistance to Ethiopia. ADDIS ABABA, Ethi­o­pia — A top opposition politician from Ethiopia’s restive Oromo ethnic group was arrested after he spoke out against the country’s state of emergency in front of the European Parliament, a colleague said Thursday.Police arrested Merera Gudina and three others from his home in Addis Ababa late Wednesday shortly after his return from Europe, which included a Nov. 9 speech in front of the European Parliament in which he said tens of thousands have been arrested under the state of emergency.“We don’t know his whereabouts,” Beyene Petros, head of the Medrek coalition of opposition parties that includes Gudina’s Oromo Federalist Congress, told The Washington Post. “In terms of political leadership, he has been around and operating above board, peacefully.”Government spokesman Negeri Lencho said he had no information about the arrest. Gudina appeared in front of the European Parliament with Rio Olympics marathon silver medalist Feyisa Lilesa, who sensitized the world to the demands of Ethiopia’s Oromo people when he crossed his arms in protest as he ran across the finish line in July. 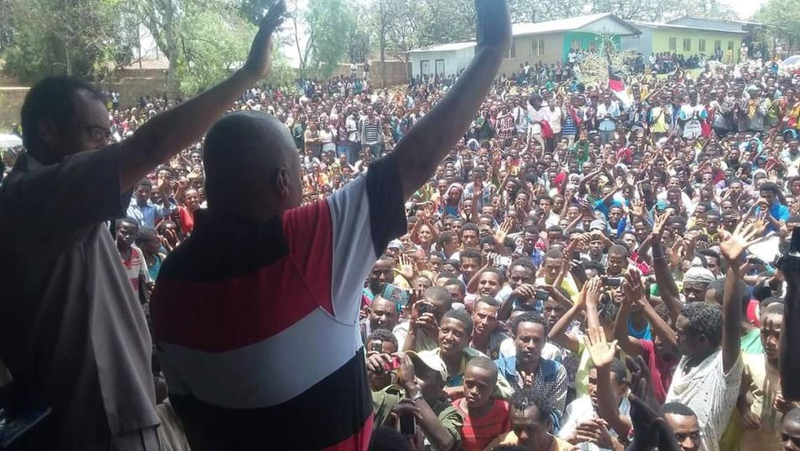 Also present was Berhanu Nega of the Patriotic Ginbot 7, an armed rebel group fighting the Ethio­pian government, which prompted calls for Gudina’s arrest by pro-government media. 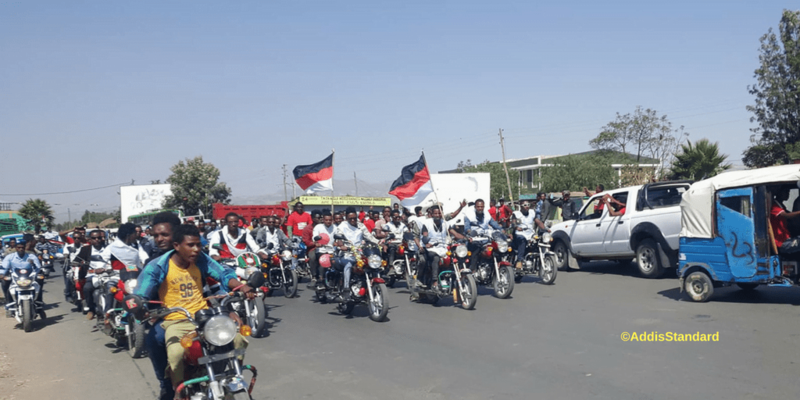 The Oromo ethnic group, the largest in the country, have been protesting for the past year over their historic marginalization as well as corrupt local government and the confiscation of their farm land for factories. At least 700 have died in the ongoing crackdown. On Oct. 2, a protest during an Oromo cultural festival turned into a deadly stampede when police fired tear gas into the crowd killing more than 50, according to the government — though the opposition maintains the toll was 10 times higher. The incident was described as a massacre and prompted riots around the Oromo region and attacks on foreign and government-owned factories, farms and hotels doing millions of dollars of damage. A state of emergency was declared a week later and since then the government said 11,000 people have been detained. In a briefing of foreign diplomats on Nov. 17, Prime Minister Hailemariam Desalegn said that the country has largely returned to calm since the emergency was declared and promised reforms to address grievances, including a more representative parliament. There are no opposition members in the current parliament, which was elected in 2015. Local and international rights organizations, however, have condemned the string of arrests accompanying the state of emergency, including that of journalists and politicians. Two members of the Zone 9 blogging collective were rearrested after the state of emergency, as well as a newspaper editor. 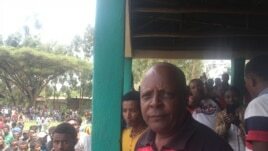 Gudina spoke frequently with international media, including The Post, about the plight of the Oromo. While hundreds of his party members and most of his key deputies have been arrested, he felt he was safe because of his high profile and because he stayed within the narrow political bounds allowed. Ethiopia has arrested opposition leader Merara Gudina when he arrived home from a trip to Europe, local media is reporting. Dhiyeenya kana Adoolessa 12, 2016 ykn Adoolessa 4, 2008 ALH gaafa ji’a saddeetessoo Warraaqsi Oromoo kan Oomiyaa handaara arfaniinuu raasa bahe itti eegalametti mormiin Goondar keessatti jalqabeera. Mormiin kun kan bu’uura godhate gaaffii eennummaa akka ta’e himameera. Gaaffiin kun uummanni naannoo Wolqaayit-Xegedee jiraatu nu Amaara malee Tigree moti jechuudhaan wolqabatee ta’uun beekkameera. Humnoonni mootummaa Woyyaanee gaaffii tana seeraan furuu dhiisanii ajjeechaa fi hidhaa raawwachuuf yo socho’an uummataan wolitta bu’uu isaaniitiin lubbuun nama 10 ol galaafatamuunille beekkameera. Haala kana gad-fageenyaan xiinxaluudhaan, haalli ollaa keenya keessatti deemu kamuu qabsoo keennarrattille dhiibbaa kan qabu waan ta’eef ibsa armaan gadii kennineerra. Gaaffii mirgaa kan uummanni kaasu kan eenyummaa ta’e kan biraa murtee uummataatiin deebisuu malee humnaan ukkamsuu yaaluu cimsinee mormina. Ajjeechaa Hawaasa Goondar irratti fudhatamaa jiru ni balaaleffanna. Hidhamtoonni siyaasaa kan gaaffii mirgaa gaafachuu isaanii qofaan, yaada ofii bilisaan waan ibsataniif qofa hidhaman marti haa hiikaman. Humnoonni ji’oota saddeettan darban keessa yakka ajjeechaa raawwatan gocha yakkaa isaaniitiif itti haa gaafataman. Mootummaan wayyanee ummattoota biyya Sanaa dabaree dabareen ajjeesaa fi dararaa garaagaraa irraan gahaa jira. Kanaafuu yeroo sabni tokko miidhamu inni ollaa taa’uu hin qabu. Keessattuu qabsoon uummata ollaa keennaatiin gaggeeffamaa jiru irree woyyaanee kan laaffisuu fi humna ishii kan bittimsu waan ta’eef qabsoo teennaaf tumsa malee gufuu moti. Qabsoon Uummanni biyyittii Sanaa Wayyaanerratti gaggeessu kan wal-tumsu malee kan wal-faallessu waan hin taaneef qindaawuu qaba. Uummani keennalleen haala kanaan akka hubatu feena. 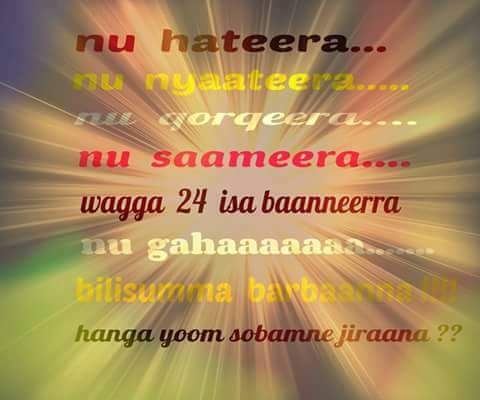 ”Uummanni Dammaqe, kan ijaaramee fi kan hidhate ni moo’a” dubbiin jettu tan Hayilee Fidaa tun yoomiyyuu ni hojjatti. Kanarratti hundaa’uudhaan dargagoonni Oromoo fi deeggartoonni qabsoo kanaa bakka jiran hundatti wali ijaaruuniifii gurmuudhaan qabsoo kana akka finiinsan gaafanna. Caasaa cimaa kan diinaan akka salphaatti hin diigamneen walcimsee deemamuu qaba. 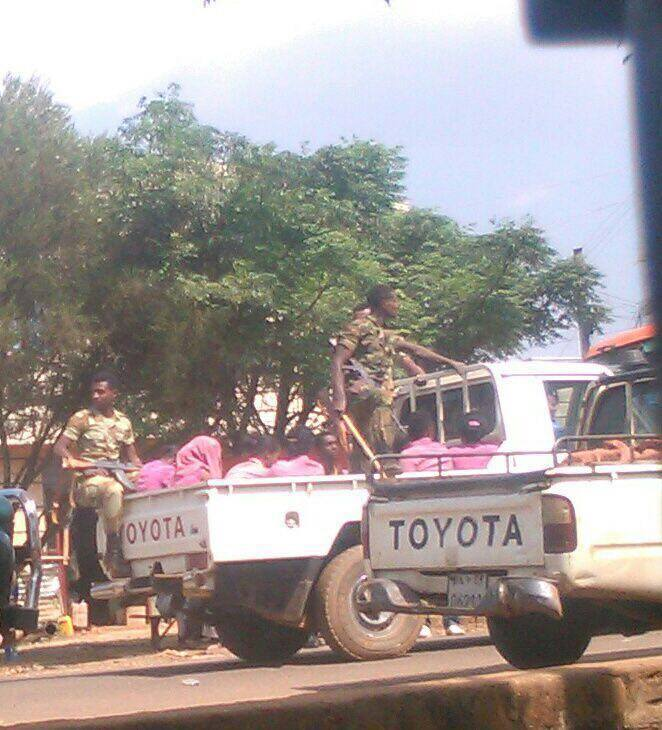 Posted by OromianEconomist in #OromoProtests, Africa, Oromia. 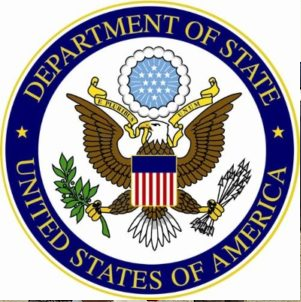 Tags: #OromoProtests, Africa, Bekele Gerba, Ethiopia, Human Rights violations against Oromo People, ofc, Oromo, the U.S. State Department, The United States is deeply concerned by the Government of Ethiopia. 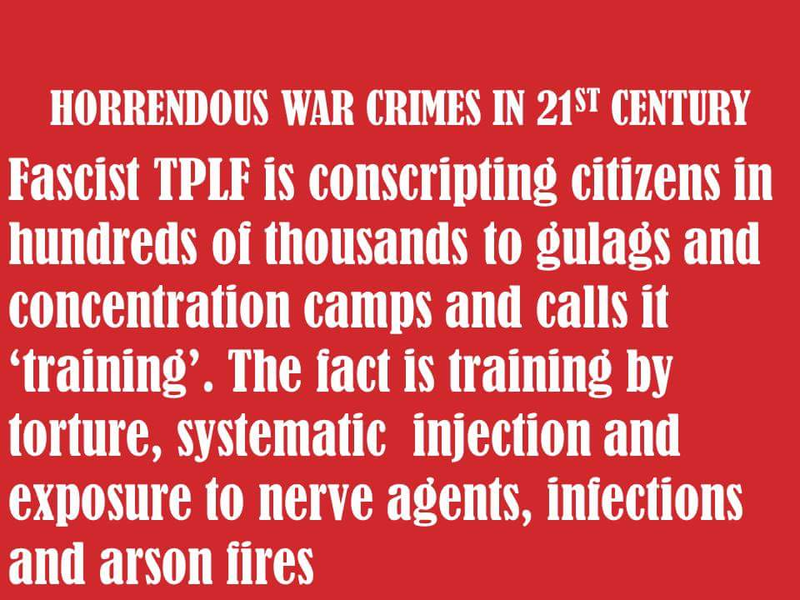 On April 22, 2016, Ethiopian federal prosecutors charged 22 individuals, including Mr. Bekele Gerba, First Secretary-General of the Oromo Federalist Congress (OFC), with violations of various articles of Ethiopia’s notorious Anti-Terrorism Proclamation (ATP). The charges include – but are not limited to – alleged communication with the banned Oromo Liberation Front (OLF), public incitement, encouraging violence, causing the deaths of innocent civilians as well as property destruction in cities, such as Ambo and Adama, during the recent protests in Oromia, Ethiopia. All prisoners were previously transferred from Makalawi to Qilinxu jail without any notice to their families or lawyers. 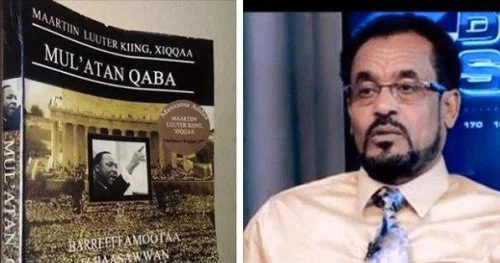 “When they arrived at Qilinxu prison, they were offered to take pills by prison administration – which all the 22 prisoners refused,” according to Bekele Gerba’s daughter Bontu in an interview she gave to Oromia Media Network (OMN) on April 23, 2016. “Then, the prison police took 4 of the prisoners – Bekele Gerba, Dejene Tafa, Addisu Bulala and Gurmessa Ayana – to a dark room and they are no more with the 18 others,” she added. “We, family members, were no more able to visit them this weekend,” said Aynalem Debelo, the wife of the Deputy Secretary of OFC, Dejene Tafa. “When we request their whereabouts and demand to visit them, the police has no answer. They told us to communicate with the prison administrators who are not willing to talk to us,” they told OMN. “Imprisonment is not a big deal. Violating prisoners’ human rights is rare in the world. No one is cruel like the Ethiopian government. We share a room of 4-meters by 5-meters with 23 prisoners. We put our clothes and a bucket for emergency in the same room. When we protested this by hunger strike, they told us, ‘You can die if you want to.’ We too are ready to die”. 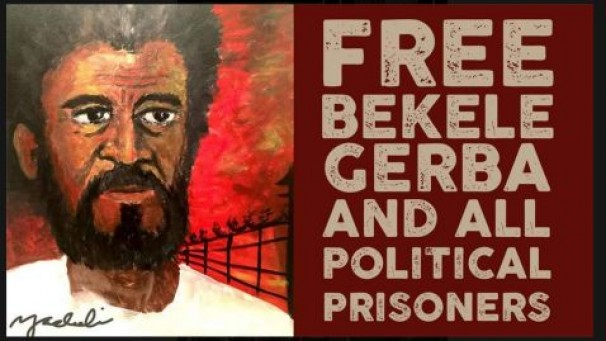 – Bekele Gerba, Deputy Chairperson of Oromo Federalist Congress (OFC), March 18, 2016, at his third remand hearing. The Oromo Federalist Congress International Support Group (OFC-ISG) is a non-profit organization established in 2010 with the mission to bring an end to the brutal oppression, injustice and inequality with a view to advancing human rights, rule of law, good governance, protection of the environment and sustainable development in Ethiopia by supporting the struggle of the Oromo Federalist Congress (OFC) through advocacy, education and financial contributions. The arrogance of the Ethiopian regime comes partly from the lack of serious pressure from the international community, especially from countries such as the US and the African Union, which watches the senseless drama silently. The Master Plan is the continuation of the massive land grabbing across the country in such places like Gambella, Beni-Shangul, Afar and Oromia. We, the Executive Committee Members of the Oromo Federalist Congress (OFC), a legally registered political party, make an urgent appeal to members of the diplomatic community on behalf of the Oromo students and the larger Oromo population. The Ethiopian government is committing an atrocious act of brutality against Oromo students and the larger population, who are peacefully protesting across Oromia for their rights. Consequently, most universities, colleges, high schools as well as elementary sections across Oromia are also closed. Far worse, for the last four weeks, over 85 students and ordinary citizens have been mercilessly killed; thousands have been wounded while several thousands have been detained. Moreover, the government security personnel have targeted our members who were candidates and observers during the 2015 elections. None of the imprisoned persons are charged with any crime and brought to the court of law as the Ethiopian law requires. We think, the arrogance of the Ethiopian regime comes partly from the lack of serious pressure from the international community, especially from countries such as the US and the African Union, which watches the senseless drama silently. As you might aware, the Oromo youth and the larger Oromo population are demonstrating against the so-called Addis Ababa and the surrounding Oromia towns Integrated Development Plan (Master Plan), which was done without the consultation of the local population whose livelihood, depends on land. 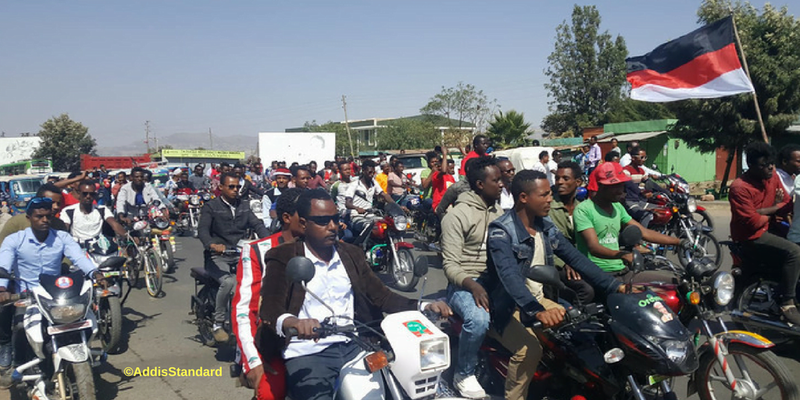 Similar opposition to the same plan in 2014 claimed not less than 78 students’lives in Ambo town and other Oromo areas. No one was made accountable for that vicious act. 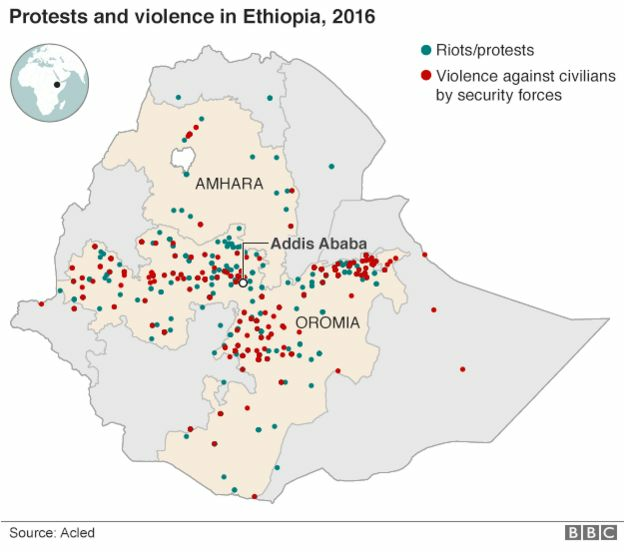 The Ethiopian government that shelved the plan for one year arrogantly revived it recently, provoking a fresh unrest. During this interregnum, except in few limited areas, at that under a controlled environment, the government did not conduct any discussion with the Oromo population on the Master Plan and its effect on poor Oromo farmers. Furthermore, none of the opposition parties and independent civil organizations was consulted as stakeholders. 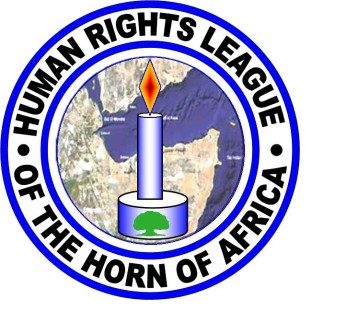 Sadly, for its brutal killing of students in 2014, the Ethiopian regime did not face any condemnation from the donor governments which prop up the regime except the western-based human right organizations, which did a good job. Thus, encouraged by the silence from the diplomatic corps and their foreign governments, it is now repeating the same act with a new vigor and sense of impunity. 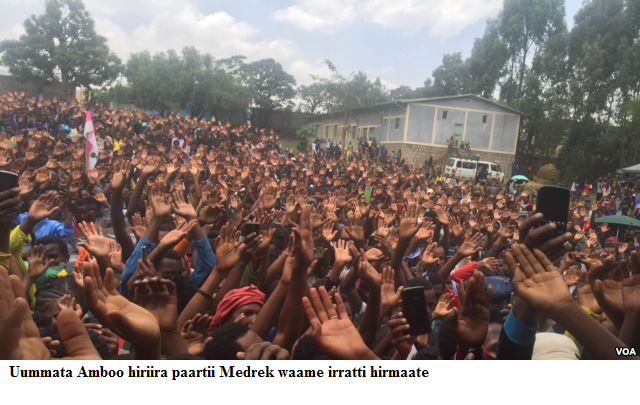 Contrary to the claim of the Ethiopia government, the Oromo students and population are not against development per se. 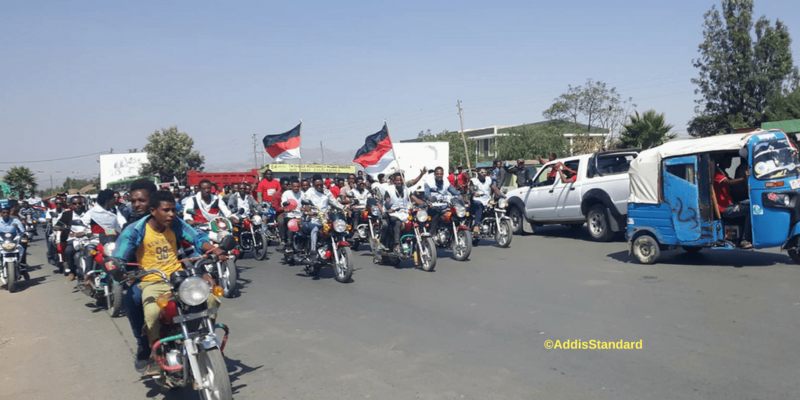 The Oromo students are protesting against massive land grabbing and the displacement of Oromo farmers from their ancestral land under the guise of development in several places. For your information, we have evidence that shows – after the 2005 elections alone more than 150,000 farmers were displaced with their families from the environs of Addis Ababa and nobody knows as to where about of these farmers and their children. 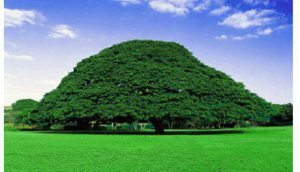 Land is not just a material possession for the Oromo. It is intimately tied to their way of life and who they are. Thus, the Oromo students are also protesting against the systematic destruction of their traditions, values, language and other distinct Oromo traits that follow the loss of their ancestral land. 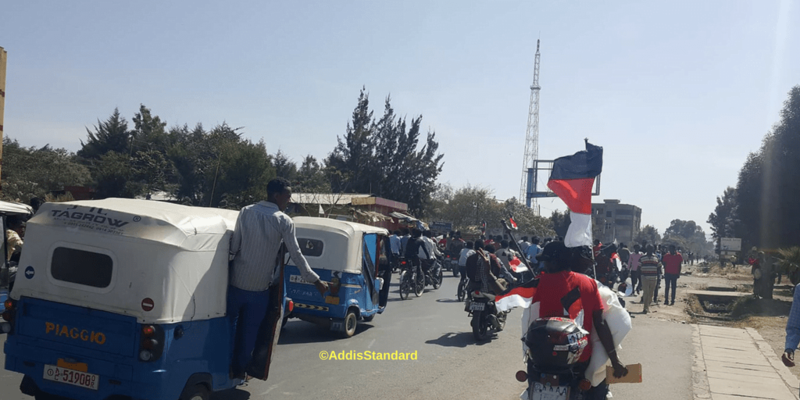 Moreover, students are protesting the de facto annexation of Oromian territory that follows the implementation of the Master Plan that envisages encompassing nearly 3 times the current boundaries of the city. This is not only land grab, but also power grab, dismantling of the federal system and an existential threat for the Oromo. Even before the implementation of the Master Plan, the City of Addis Ababa had exponentially grown horizontally into the peripheral Oromia territory. As a result of this, hundred thousands of farmers have continued to be disposed of their land, the only basis of their livelihoods. As indicated above, thousands who were disposed of their land at a nominal compensation have left their ancestral land and some of them moved to the harsh and unforgiving city life in Addis Ababa where they have become either homeless, daily laborers or beggars. The Master Plan is the continuation of the massive land grabbing across the country in such places like Gambella, Beni-Shangul, Afar and Oromia. Far worse, the corrupt government officials and cadres are recklessly displacing poor farmers for their own personal enrichment. We strongly believe that looking away from the crimes of the Ethiopian regime and allowing it to terrorize millions of its citizens under the guise of fighting international terrorism is both morally as well as politically wrong. And partnership in fighting international terrorism should not be taken as a license to kill innocent citizens by authoritarian regimes such as that of Ethiopia. 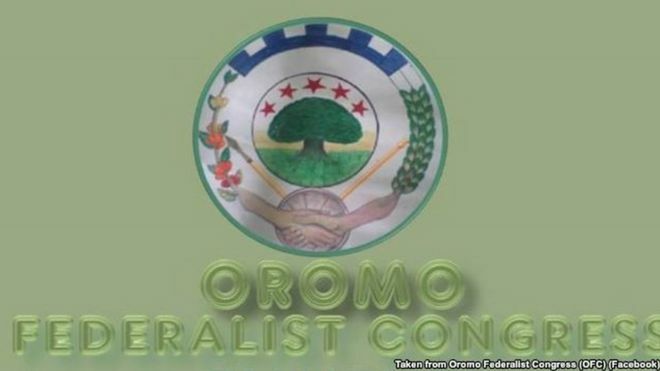 As we write this appeal to you, the Oromia region is under a practical state of emergency where the army, the federal police and other armed units of the regime have become the law of the land by themselves. Therefore, we urge you to put an utmost pressure on the Ethiopia government to stop its senseless killings and cease to use excessive force. We further request you to support the legitimate question of the Oromo students and ask the Ethiopian government to immediately stop the implementation of the Master Plan, release imprisoned students and other citizens as well as bring to justice those who have used excessive force against the peaceful demonstrators. As this is also a delayed reaction to the total robbery of the May 2015 elections by the EPRDF regime, we urge you to advise the regime to engage the country’s democratic forces by opening up the political space for all the concerned stakeholders so as to find a durable solution through a national dialogue. Vice – Chairman & Head of Foreign Affairs of MEDREK. Almost 37 million Ethiopians had registered to cast their ballots in Ethiopia’s parliamentary and regional elections which took place on Sunday 24 May 2015. Although the results will only be announced in June, history shows that the only winner will be the long-ruling Ethiopian Peoples’ Revolutionary Democratic Front (EPRDF), led by incumbent Prime Minister Hailemariam Desalegn: the party is expected to “win” nearly all – if not all – of the 547 seats in parliament and thus form the Government. Since 2005 the EPRDF has engaged in repressing any dissent and political opposition in Ethiopia, cracking down on independent media and civil society organizations, while charging government critics under harsh anti-terrorism laws. 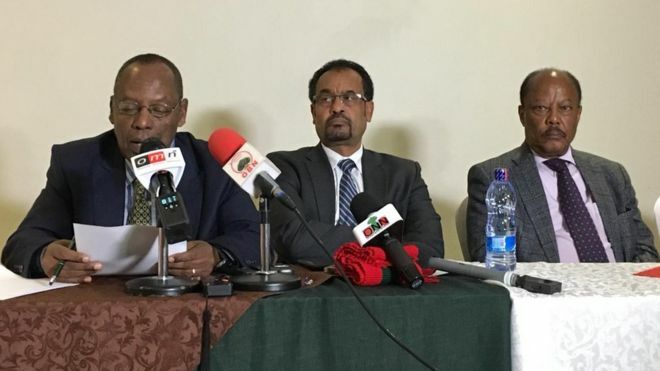 This has left the country without any viable counter voice to the ruling party and resulted in highly controlled political participation – something which according to the Ogaden National Liberation Front (ONLF), Oromo Liberation Front (OLF) and Sidama Liberation Front (SLF) is reflected in Sunday’s “fake” election. 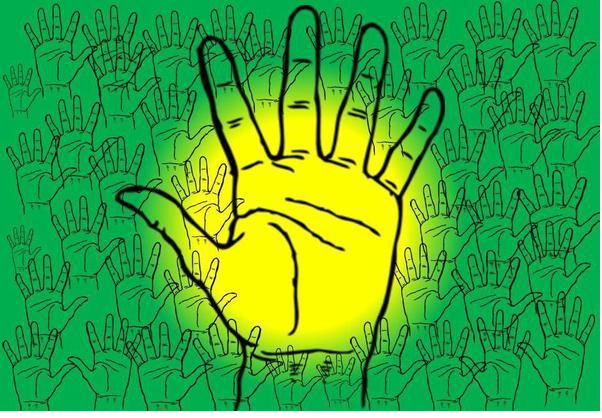 In 2010, the EPRDF won 99.6% of the parliamentary seats, with various election observation missions (EOMs), including that of the European Union, saying the election was marred by intimidations and harassment of opposition activists. Human Rights Watch stated that the victory was the “culmination of the government’s five-year strategy of systematically closing down space for political dissent and independent criticism”. Such allegations were repeated on the occasion of this year’s election, which was the first since the death of former PM Meles Zenawi, the man who transformed the EPRDF into a powerful political organisation, while completely disregarding international standards for democratic governance and respect for human rights. The Government has denied any allegations of misconduct and accused the opposition, as well as its archenemy Eritrea, of plotting a disruption of the vote. Just before the elections, PM Desalegn claimed: “We remain vigilant and confident that the general election will be peaceful, free and fair, notwithstanding destabilisation attempts that may be tried by Eritrea or its local emissaries, which we will respond to with stern measures”. The National Election Board of Ethiopia claims that the environment created for political parties this year was exceptional. However, the only international body present to monitor the electoral process was the African Union, the headquarters of which is based in Addis Abeba. The European Union and the United States, which monitored the 2005 and 2010 elections, did not participated this time, and their recommendations from the previous years remain largely ignored. It should also be noted that already before the Election Day, human rights groups claimed on Saturday 23 May that the polls could not be free or fair due to a lack of freedom of speech and participation byindependent media. According to Al Jazeera, the voting process itself was smooth but the fractured opposition has complained of irregularities in the run-up to the election and of harassment and intimidation of their supporters. Furthermore, opposition groups also complained that several of their members were detained. Despite all these allegations, on the day of the election, the African Union’s EOM stated that the electoral process was held in an “orderly manner”. The polls closed at 6 pm on Sunday, but the final results will only be released by the National Electoral Board after 22 June 2015. 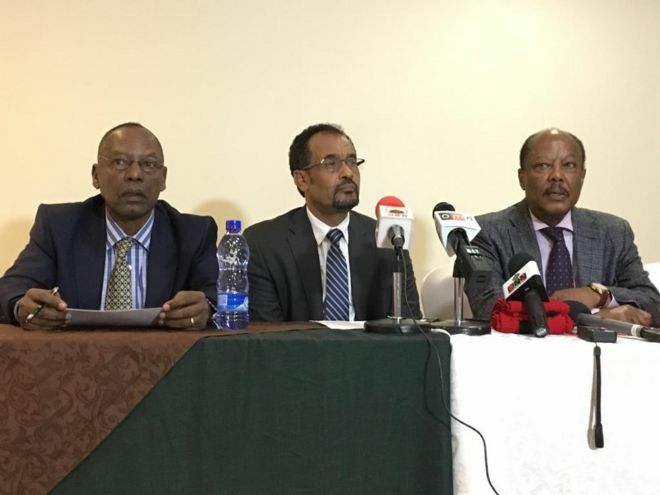 In a joint statement released the day after the elections, the Ogaden National Liberation Front, the Oromo Liberation Front and the Sidama Liberation Front put forth that the elections were not an expression of the democratic will of all the people, and that the preparation, the process and the final results of this election were and will be intentionally flawed. Therefore, according to international standards, the election process cannot be considered free, fair and impartial. The three liberation fronts also argue that is not an accident that the international community opted out of observing this election, and instead purposely kept away to avoid legitimising this fake excercise of democracy. The complete statement is available here. 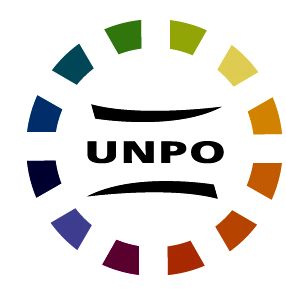 As highlighted during the latest in a series of conferences organised by UNPO, entitled “Cartoon Democracy: Authoritarian Rule and Elections in Ethiopia”, UNPO deeply regrets that ethnic and political opposition groups in Ethiopia were once again deprived of their basic right to freely participate in determining the future course of their country. 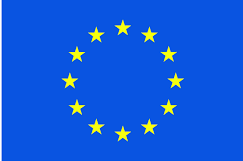 This should serve as a wake-up call for the EU, US and UK – the three largest development donors to Ethiopia – to better monitor and condition how their funds are being spent and to increase their support to democracy and human rights. Otherwise, the much praised stability of Ethiopia is very much at risk. Reallocate a portion of the economic and security assistance to programs dedicated to supporting democracy. Push for creation of a special U.S. fund that could become a source of outside support for Ethiopian human rights and democracy groups. Regularly request that visiting U.S. officials obtain access to detention centers where journalists, human rights defenders and other political prisoners are being held. Pursue a strict application of all laws and regulations, including the Leahy Law, that ensure security assistance does not go to perpetrators of human rights abuses. Include in the USAID country development strategy clear guidance on the importance of supporting independent media in Ethiopia, to promote freedom of expression, ensure accountability of government, and fight corruption.